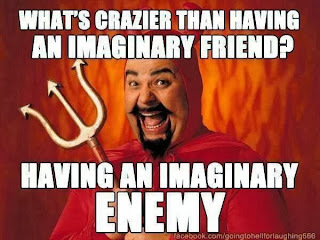 Debunking Christianity: Halloween Special: All About Satan! Halloween Special: All About Satan! It's that special time of year when the forces of darkness and sugary excess are unleashed upon the U.S. and other countries which celebrate Halloween. Although this holiday's pagan roots run deep, it also has direct ties to the Christian feast of All Hallow's Day, and I must say that I am a bit disappointed that my Christian Facebook friends are not busily posting "Keep Christ in Halloween" memes on their status updates. 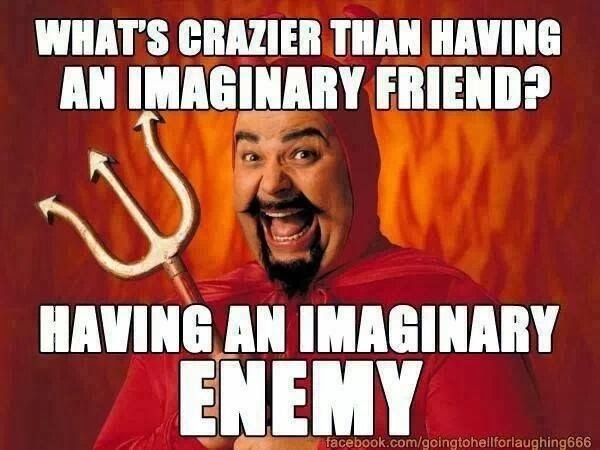 I would also like to take this opportunity to remind our Christian friends (and enemies) that the fact that we do not believe in their imaginary god also means we do not believe in - or worship - his fictional arch-enemy. For those who have never delved into how the Satan character evolves in the biblical writings (and how Christianity borrows from other religions to build its concept of Satan), I am linking to several videos. I would also recommend the book The Birth of Satan: Tracing the Devil's Biblical Roots by T. J. Wray and Gregory Moberly. It is a fast read, entertaining, and gives a good popular-level coverage of the topic.